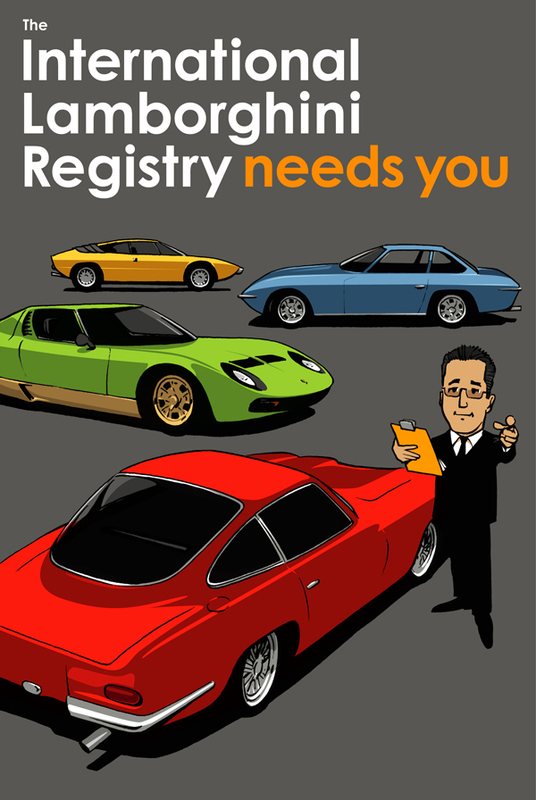 Image Copyright © 2010 ILR & guyallen-art.com The International Lamborghini Registry is a privately run venture. While it is not officially registered as a non-profit organization, it does seems like it is at times. Since its beginning in 1999 a small personnal fortune has been spent setting up, maintaining and upgrading equipment used to run the site for the benefit of all Lamborghini enthusiasts and related businesses. The site continues to generate considerable expense for maintenance and upgrading which has put a strain on the finances of those of us of more modest means. Only recently has it become necessary to convert the site to a membership based format to help defray some of the costs of operation. We at the ILR would like to be able to continue to perform equipment upgrades in order to improve and increase the speed of our service to you, while decreasing server downtime and bottlenecks during periods of peak usage and at the same time offering more and better content to our valued visitors. Again many have asked to give further support to the registry but wanted to know just how they could do so. This page has been created to help explain the process and intended use for any and all donations made to the ILR. Please be assured that that nobody is getting rich from this endeavor as close associates of the ILR can attest. In fact just the opposite has taken place over the years with great personal sacrifice having been made in order to opperate the ILR, in some cases even including the sacrificing our own dreams of one day owning one of these great cars. If you have enjoyed visiting the ILR web site or have benefited in any way from the information contained herein, your consideration would be greatly appreciated. Together we can continue to make this site better, stronger, faster, like any great Lamborghini. Even modest donations are appreciated. Donations may also be made using your credit card by clicking on the button below. Feel free to donate any amount.